Buy 2 boxes, Get 1 FREE! 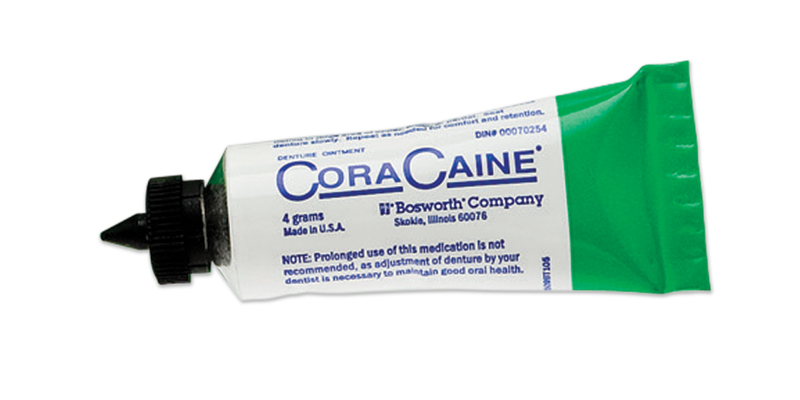 Analgesic (16% benzocaine) adhesive ointment for new or intermediate dentures. Acts as a gel-like cushion between denture and tissue to provide relief from tender ridges and sore spots. No smell or aftertaste. Pink color. Contains: 36 x 4g tubes.